Why Aren’t Black Tech Founders And Executives, Speakers at Major Tech Conferences? As with any blog post on race, I have to include a prelude. This post is neither meant to be combative nor to apportion any blame. It is merely to add to a continuous conversation about diversity in technology. This post is MY OWN observation made on behalf of MYSELF. If any statement here can be interpreted in more than one way, assume the less combative way and / or ask me for clarification. 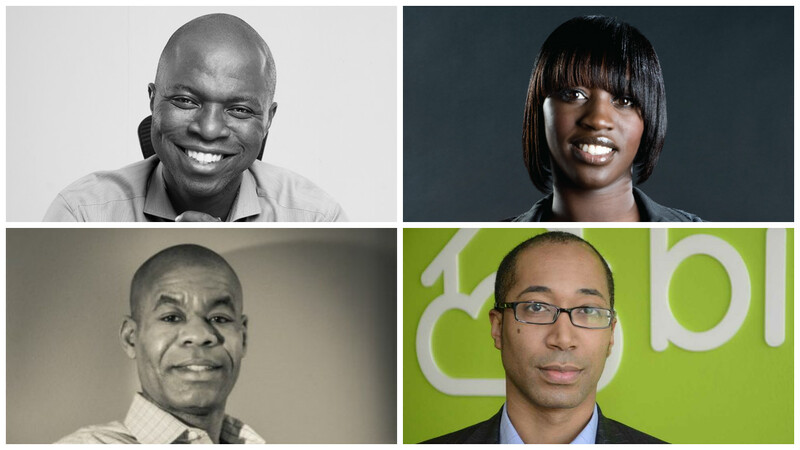 There are almost zero black faces speaking at the major tech startup conferences held in the US and Europe. And in the rare times they do pop up, e dey get k-leg (basically, it isn’t so straightforward). Let’s check out the numbers of the most recent major/popular tech events (you can google for previous years). Recode 2015 28 2 7% Movie Director, Lucious Lyon! Le Web 2014 90 0 0% It happens. Launch Festival 2015 71 7 10% The best I’ve come across. Nice one Jason. What you will notice is that in the rare times the black (wo)man is on stage, it somehow manages not to be those who are primarily in the tech field but say, in entertainment or sports. When it’s a tech person, s/he is mostly talking about diversity. Here is the thing. This past year, I have personally emailed a few of these organizers to highlight the anomaly (no, I will not mention them). I have also recommended speakers. The responses (if they come) have not been positive. Why are Black Speakers Important? When you make a decision based on historical data, you are bound to be biased by the data and produce a similar output. That becomes part of the data set and it continues…in a loop. When tech black founders aren’t seen on stage (aka recognized as leaders in their field), fewer black kids would believe they have a future to excel in that field. The less black kids go into tech, the lower the chance the situation can change. Of course, that bias does not only influence the future black kids, it affects those looking for a co-founder, those looking for whom to fund etc. I never blame those that pattern match; it is simply human nature. Let me confess, if I have a few seconds to make a decision, I would not choose someone that looks like Jamie Oliver to make my jollof rice (don’t read the comments :)). While it can be argued that food, music and some sports are cultural and therefore could have an inherent racial bias, tech isn’t. 5 years ago, I asked for the renowned black founders. While, there has been a lot of progress in that field since then, it has been against the odds. The about pages and the speaker list of the tech conferences would have more influence on getting more diverse people into the technology field than any other thing I can think of. I know from first hand experience. 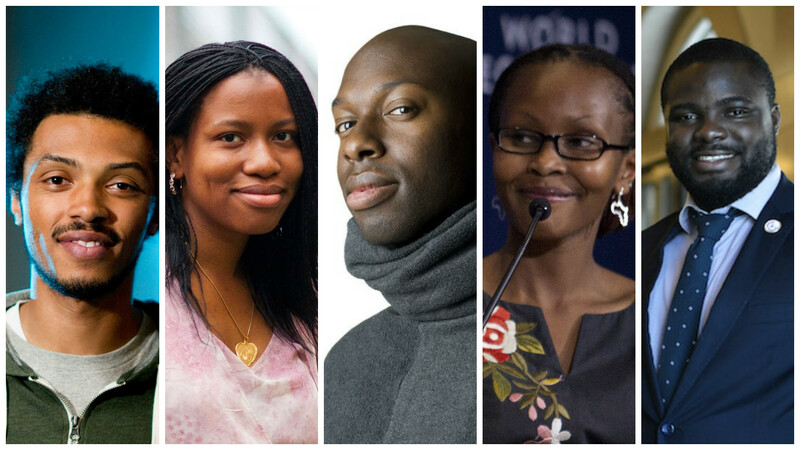 Here are some Black Founders and Technologists that should not be overlooked. First, I have to apologize for putting their names here. Because there is this taint that comes from being used as an example. When they get justifiable noticed, it becomes, “oh, they are there to fill in a quota”. But that could not be further from the truth. These folks deserve to be on the largest stages and are needed to correct the flawed data that say none of the best happen not to be black. Iyin Aboyeji (University of Waterloo). At 24 he has finally got his stride in his 3rd tech startup and has co-founded Andela, the mill to churn out the next 100k technologists in Africa. Recently raised $10 million. Bilikiss Adebiyi (MIT). Using technology to help take away waste while making wealth and helping Lagos go green. Oh! She happens to be Black, Nigerian and Muslim. Obi Nwosu is co-founder and CTO at a top UK based BitCoin Exchange in the UK called CoinFloor. Doesn’t get more tech than that. Aston Motes was the first employee at Dropbox outside the founders. I do not recollect him being on any stage. He cannot be seen as a quota at any conference. And no, he is not a diversity expert. Juliana Rotich of the BRCK team should be on every stage possible. BRCK is globally genius and should get much more love than it does. Tony Gauda a TC Disrupt Finalist build Bitcasa, a Dropbox alternative. He is very qualified to be on any stage talking tech. And so is Anthony Skinner who was the CTO of Moz for many years, especially during their major technology transition. Louise, Kalam and Courtland are some of the black YC alums that are doing stuff as good as those speaking on any stage. So the question of affirmative action does not arise. Like I said above, I actually emailed a tech publication about their speaker lineup after one of their writeups criticizing the tech companies who had released their diversity reports. I didn’t get a response. To Affirm or Not to Affirm? The biggest criticism of affirmative action is that it gives the impression that those who get in are not there based on their competence. Anyone who knows they are worthy on a level playing ground hates it. It is why I apologise to those people I named above. It would seem that they ordinarily would not qualify. That could not be further from the truth based on pedigree and results. To me, I have started trying to see affirmative action as being more thorough and conscious. Instead of doing a quick Googling to see who to invite to the next conference, spend more time, go more further to find different types of people that QUALIFY to be on your stage. It is that simple! I also think having a more diverse staff/speaker selectors at the disposal of those organizing tech events would help. People are quick to go for what and whom they know. Though I fully respect and understand the need for minority focused events, I do not think it alone can help. We belong in the mainstream. What finally triggered publishing this post (I wrote most of it a month ago) was the latest speaker announced for TC Disrupt London. When I finalized the draft for this post, they had 0 black people and I noted that there was still a chance to rectify it. Then they chose Henry of Arsenal. PS: I hope because of this, I’m not punished covertly or overtly by the conference organizers I appear to criticize. This is to keep an important conversation going with good intention. Click to Tweet this post. PPS: Forgive typos. I just don’t see them. Thanks to Emmanuel, Banke and Sheriff for helping reduce them.